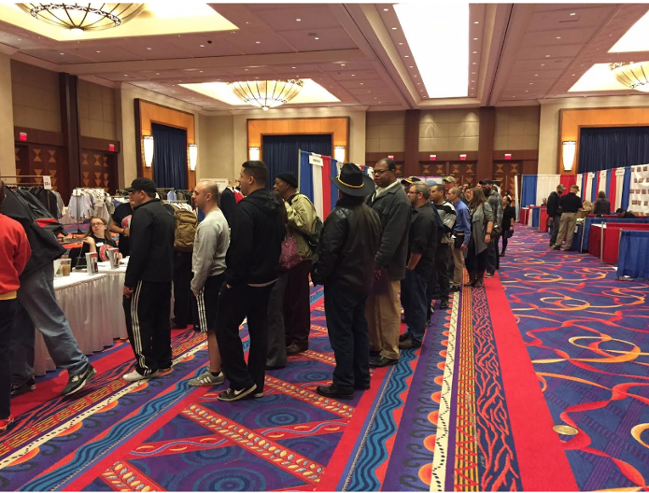 FASTPORT had the honor to connect with Air Force, Army, Coast Guard, Marine Corps, and Navy Veterans at the Hiring Our Heroes hiring fair at the Mohegan Sun to help match them with great careers. In addition to providing career opportunities in the transportation and agriculture industry, FASTPORT also displayed the revamped online Veteran Employment Transition (VET) Roadmap that gives Veterans and transitioning service members a consolidated site to orient them in their journey to prepare, transition and excel after leaving military service. With a “sea of goodwill” for Veterans being at high tide, many Veterans have reported that sea can be difficult to navigate. With so many great resources available, it's hard to know which is best and where to find them. The VET Roadmap was initially released to solve this problem in June 2015 with contributions from leaders in Veterans employment, including FASTPORT. A year later, the George W. Bush Institute and the U.S. Chamber of Commerce Foundation’s Hiring Our Heroes Program adopted FASTPORT technology to improve user experience online and make the VET Roadmap even more accessible for Veterans. If you want to have your voice heard to improve the VET Roadmap for your fellow Veterans, get in touch with us at fastport.com today. Older PostWho Will You Honor This Memorial Day?